Easy Aloo Chaat recipe | How to make aloo chaat | Potato Chaat recipe. The spicy aloo chaat recipe is an absolutely delicious chaat recipe of boiled Aloo tossed with lip-smacking chutneys and seasonings. Indeed, it is one of the most popular Indian chaat. And ofcourse, super easy savoury snack to make at home. And, the best part of this chaat recipe is, we can keep ingredients ready before hand in refrigerator. All we need to do is, just fry the boiled potatoes and assemble the chaat just before serving. Enjoy this gluten free, vegan easy boiled Aaloo ki chaat anytime with your family and friends. 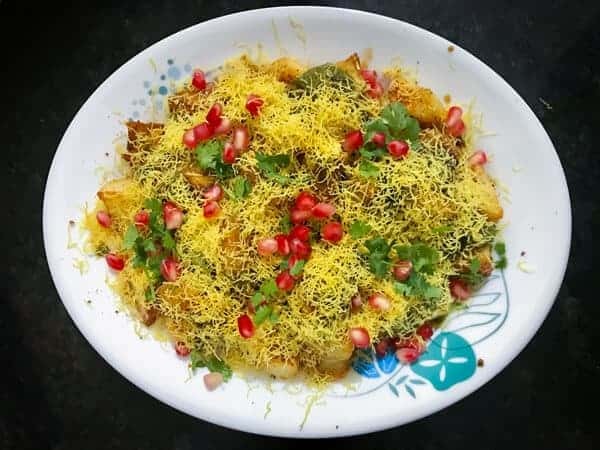 So, even now when I am done, shooting and eating the delicious chatpati fried aalu chaat, I am yet craving for it like I have not had it in ages. 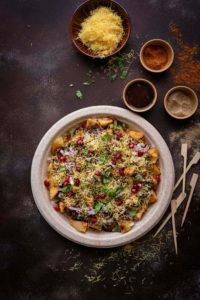 This simple and easyaloo chaat recipe is indeed amongst the most favorite chaat after pani puri and bhel puri. We Indians love, not only chaat, but many more famous street foods. i.e mumbai street food, street food of Delhi and so on. 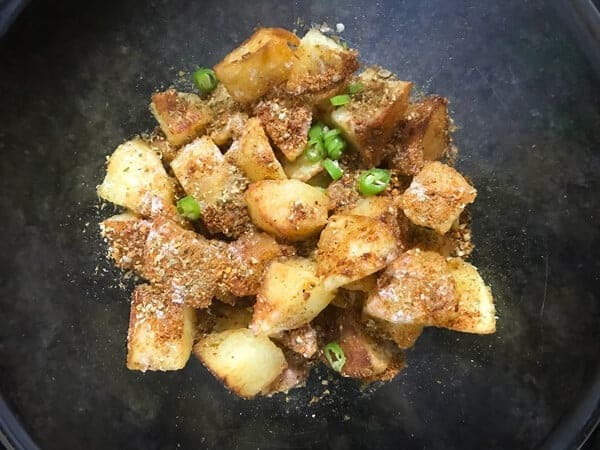 Significantly, potato is one such tuber root which we all love, be it a potato sabji, chilli potato, potato chaat, aloo methi, or aloo tamatar sabji. And, to be sure, our very famous potato, goes in almost all the chaat of Mumbai street food or favourite Delhi street food recipes. To name a few, aloo tikki, samosa chaat, ragda pattice, puchka, sev puri, dahi puri et al. We in India get it easily on chaat stalls especially set up for only these items and trust me, people of all ages surrounds the stall. Mumbai chaats and Delhi style chaats are very famous and spicy aloo chaat specifically is the most popular Indian snack. I remember during my college days, after lectures all of us would specially go sometime to enjoy these chaats also at weekend with family. We had a fixed shop in our locality where we used to visit in the evening and nosh on every item they had in their menu. Not just budget friendly but it was taste friendly as well. And trust me, still when I visit that place, it has the same taste, same cleanliness and even the owner did not change. Now, when I shifted here in Bangalore, we hardly get that potato chaat taste here anymore and I really miss it. 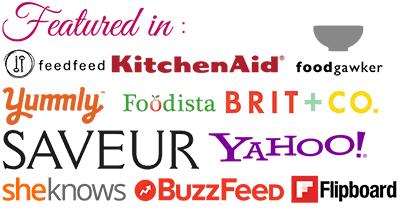 So why not get that taste at your home itself. I love this boiled aloo chaat recipe and the chunks of potato well mixed in chutneys and seasoned with the nylon Sev tastes purely heaven. Ingredients are very easy and convenient to assemble, so as it is a quick aloo chaat recipe. For this chaat recipe, we are using boiled potatoes, onion, coriander leaves, green chilies. 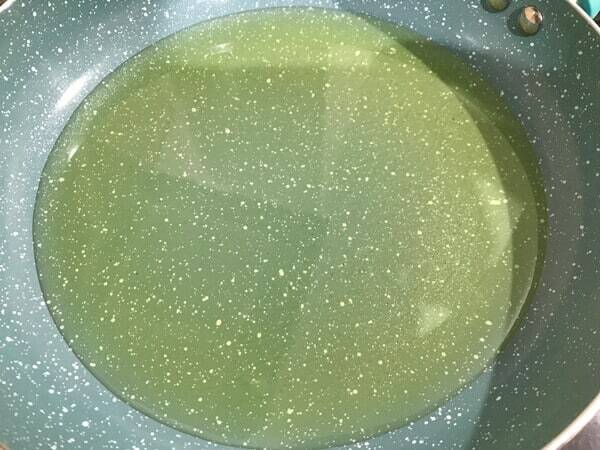 Chutneys like (dhaniya pudina ki chutney) Green chutney,(imli ki meethi chutney) meethi chutney . Spice powders like cumin powder, crushed coriander seeds, chili flakes or you may also use red chili powder and chaat masala. Other ingredients includes lemon juice, fine sev, pomegranate seeds, oil to fry potatoes and black salt. 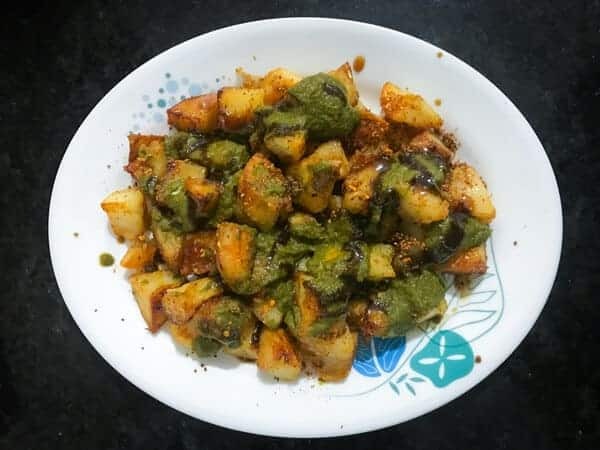 If you have restriction in diet, you may skip fried potatoes and simply just use the boiled aloo to make this easy aloo chaat recipe. However, you may also use the fried ones but consume less. Well, that is surely never happening especially if there is aloo ki chaat in the house. It is absolutely fine to be indulgent once in a while, or rather we should say on a cheat day :). You may have this aalu chaat with chai in the evening which is probably the best time to have it. And, since it has aloo i.e. potato no one is either disliking or leaving it that is the best part about it. Every bite in this chaat is a punch full of tangy, spicy, meetha and chatpata flavor. 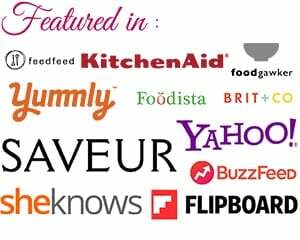 Is this aloo chaat recipe vegan ? Undoubtedly, it is the best and easy aloo chaat recipe, we all love. At the same time, we also try to give twist to the recipe, dahi aloo chaat is one such twist. The recipe that is mentioned below remains the same, the only thing we want is addtion of dahi (curd). Yes, nice chilled whisked curd or dahi is what you need. Just pour few spoons of dahi over the aloo and then sprinkle chutneys and powders. Isn’t that so eay? Indeed! 🙂 . Furthermore, be sure to check that curd is not sour. Another interesting thing that we can add to make chaat interesting is, crushed papdi. Oh! the crushed papdi on the top of aloo ki chaat is just irresistible. This chaat topped with crushed papdi is a win-win recipe always. Can we do the preparation of aloo chaat beforehand? Yes, You can do all the preparation for the chaat before hand and refrigerate it. In fact, a day before is absolutely fine. Sometimes, I do that even couple of days before. One important point to remember here is, it always best to fry potatoes just before assembling the chaat. Rest all the ingredients can be kept ready before hand. At the time of arrival of guest or friends, for get together or party, you can assemble boiled aloo chaat quickly on serving platter within minutes. Now, isn’t that easy? Also, if you making this for kids, you can decrease the spiciness as per their taste. And, if you want alu chaat to be more spicy, increase it accordingly. Without wasting much time, lets’ head on to learn how to make best alu chaat at home. Not only this spicy aloo chaat , but I am a crazy fan of Pav Bhaji Ragda Pattice, Sev Puri, Pani Puri, Samosa Matar Chaat and Dahi pakodi Chaat. These all are frequent in our home. Do check it out. 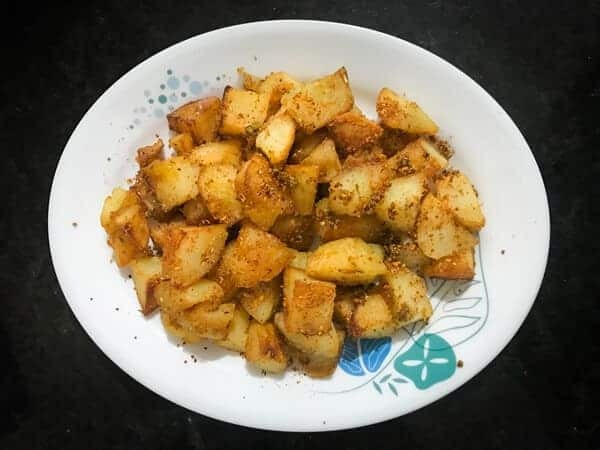 Aloo Chaat recipe (potato chaat) is an absolutely delicious chaat recipe of boiled Aloo(potato) cubes which are fried. Crisp fried potatoes are then tossed with spicy and sweet chutneys, chaat masala and spice powders. It is one of the most popular Indian chaat. Here is how to make best aloo chaat at home. Then, shallow fry them until they are golden and crisp. You can also deep fry them if needed. 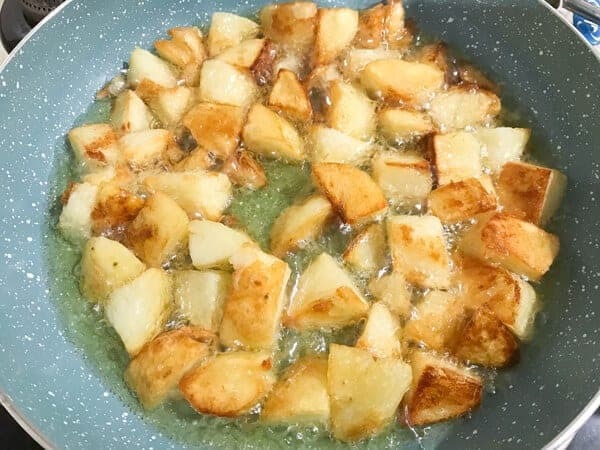 In a bowl, add fried potatoes, black salt, cumin powder, coriander powder, red chili powder, green chilies and lemon juice. Toss them well. Dish out the tossed potatoes in serving bowls or plate. Top it with green chutney and meethi chutney. 3. Shallow fry them until they are golden and crisp. You can also deep fry them if needed. 4. 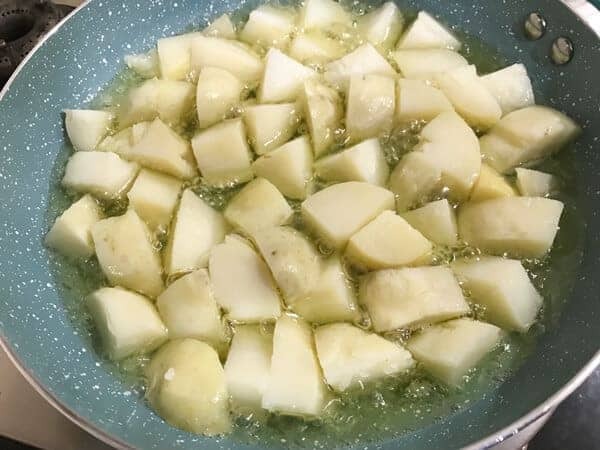 Next, in a bowl, add fried potatoes, black salt, cumin powder, coriander powder, red chili powder, green chilies and lemon juice. Toss them well. 5. Then, dish out the tossed potatoes in serving bowls or plate. 6. Top it with green chutney and meethi chutney. I tried this chaat recipe…but one thing, where do you get such sev? I used the normal sev from yhe vendors but the sev you used looks magnificent ??? ?